Poi is Hawaii’s staff of life. Islander first acquired a “taste for the paste” when she was just a toddler, so given her long history with the (in)famous purple-gray staple, she has a deep appreciation for it. Poi is typically served at touristy luaus and local celebrations (it was also on the menu at our wedding reception). The simple starch is considered a Hawaiian health food because it is rich with vitamin B, calcium and phosphorous; is an easily digested carbohydrate; and is non-allergenic. 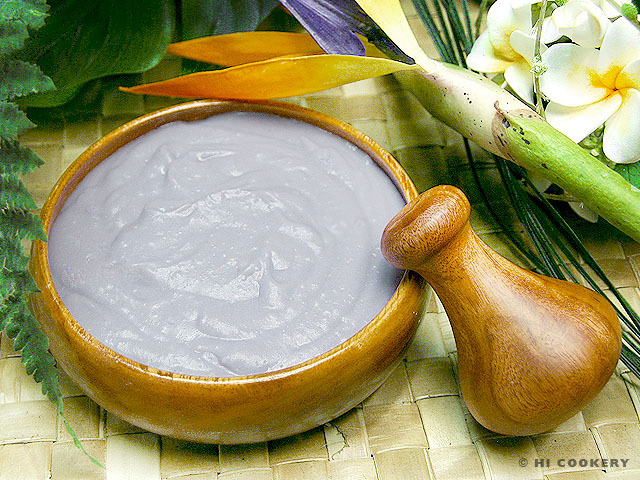 Hawaiians of yesteryear traditionally pounded cooked taro with water using a wooden platter and a stone masher. For this post, Islander made poi on the mainland with a modern method (with sincerest apologies to the cultural cooking customs of the Polynesian people!). Then she put the poi in pancake batter for a subtle tropical twist. Although poi is now available as a powder and in a bag, and taro flour and pancake mixes are conveniently sold at stores, Islander still wanted to go back to her roots (literally) and prepare poi pancakes from scratch. Although her poi was not quite authentic, the pancakes turned out terrifically and the experiment was worth the effort. 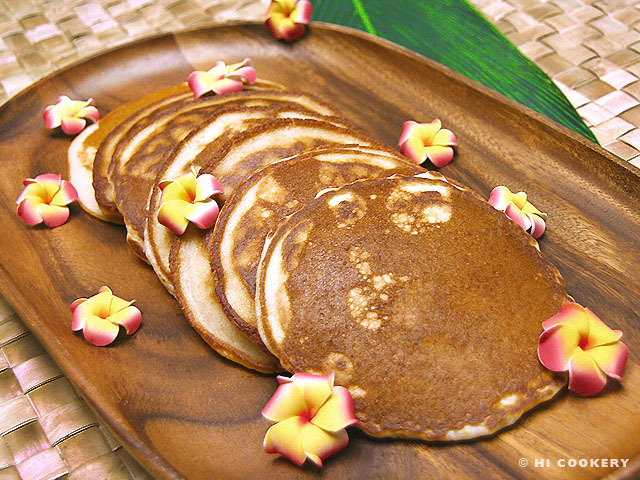 Prepare poi then try the taro pancakes for a delicious duo of Hawaiian and haole flavors for National Pancake Day. Aloha a hui hou! Wash the taro roots well. Place in a large pot and cover with water. Boil for 45 minutes or more until soft and tender. Check if they are cooked through by piercing the taro with the tines of a fork. Drain in a colander, rinse with water and cool completely. Cut and peel off the skins. Mash the cooked roots in a large bowl with ½ cup of water each time until smooth and no longer lumpy. Mix in a little purple food coloring if necessary. Transfer to the container of a blender. Puree with a little more water until the desired “finger” consistency is reached (see Notes). Beat the eggs. 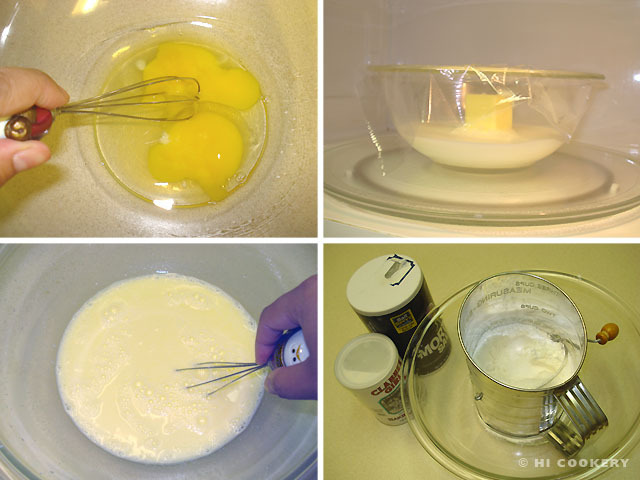 In a bowl, place the butter and milk and microwave until the butter is melted. Cool slightly and stir into the beaten eggs until frothy. In a separate bowl, sift together the flour, sugar, baking powder and salt. Add the dry ingredients to the wet ingredients and mix until no longer lumpy. Stir in the poi until smooth. Heat a skillet or griddle with a little oil or butter. 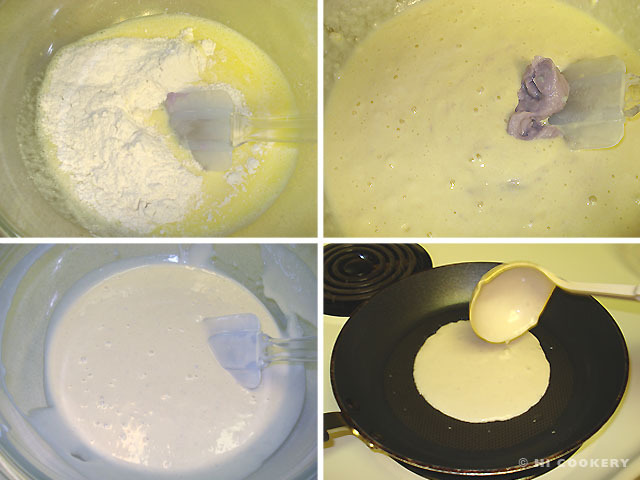 Pour the pancake batter and let bubbles form. Check the underside, being careful not to burn. 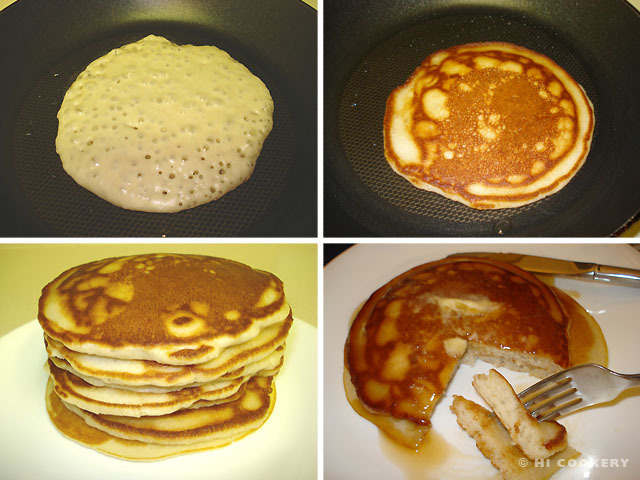 Flip the pancake over and cook for a few more seconds until the liquid is cooked out. Serve as a stack with syrup. Warning: Raw taro is toxic. 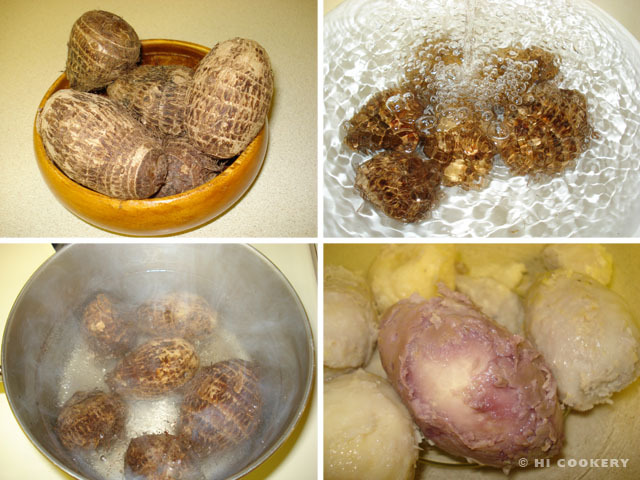 Cook the tuber and its leaves well. There are different varieties of taro root, some of which are grown in drier soil and others in the wetlands. Islander’s brother, Kahuna, once got down and dirty and planted taro in the pondfields of Oahu. The only available taro variety that we could find in our Texas grocery store is the small, dry, white tuber from Central America. However, the slightly larger one that we bought with the batch was a bit purple when peeled. 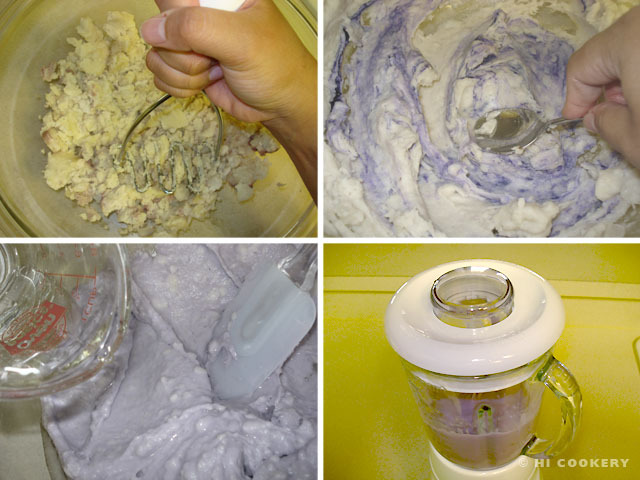 The color was not enough to blend with the white so Islander added a little purple food coloring to the mashed mix. Sorry for this sacrilege!!! Who needs a fork when you have fingers? Poi is traditionally eaten with one or two fingers for a thick consistency and three for thinner, more liquid-like consistency. Adjust the amount of water in the poi for preferred consistency. Sometimes poi goes sour because it ferments after a few days. We like to sprinkle some cane sugar on poi for a pudding version. Mahalo nui loa (thank you very much) to Kahuna for the petite poi pounder shown in the final food photo. Thanks for the link on where to order them, although I hope to be able to find the powdered stuff in major supermarkets (Costco?). We’re heading back next month so I look forward to stuffing my face with poi everything! ps – I love you have plumeria and bird-of-paradise in S. Texas! Have fun back on Kauai and indulge on all the yummy local foods. Aloha and ciao! Poi oh poi – look at that amazing colour! What an interesting ingredient and thanks for explaining. What does it taste like? I would love to try this. Love the pile of fluffy pancakes on that plate – almost as if they’re camouflaged!